• Create streaming line - Creates new streaming line in panel when product is ordered and paid. 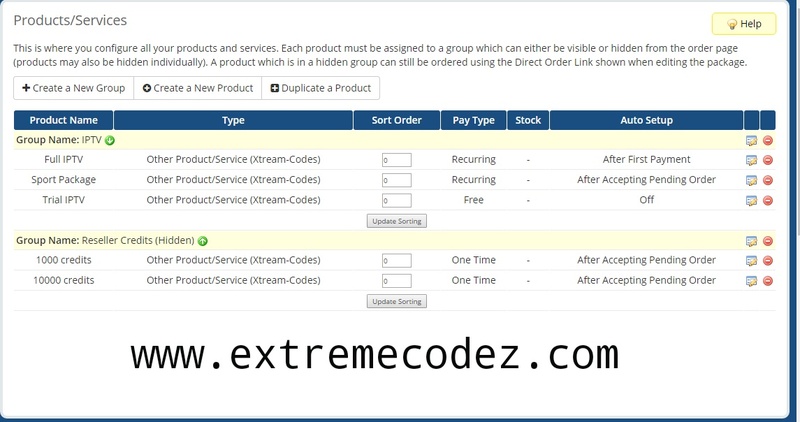 • Enables streaming line in panel when overdue invoice for disabled product is paid again. • Delete streaming line - Deletes streaming line when invoice for product is unpaid for longer period. 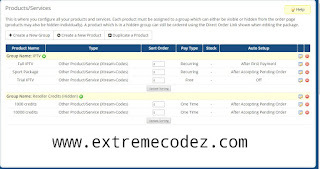 • Reseller credits - Allows your resellers to buy credits for themself. • Watch Streams link - Link in client area wich logs user into panel client area to start watching streams instantly. Everything is automatic you don't need to worry about frustrating client managment anymore. There are tons and tons of features and settings in WHMCS, also its templates are highly customiseable, it supports lots of payment types: Paypal,Credit Cards,Skrill,Bitcoins and many more! The link is on the post read more about them. I do not see read more? muito bom irei verificar o post esta feito.